Simply put, our curriculum and the way in which we deliver it is intended to instil a passion for learning in all our pupils and to equip them for successful lives beyond our walls, opening doors to the future of their choices – whatever they may be! We believe that the fundamental skills and knowledge contained within the 2014 National Curriculum give children an excellent foundation for learning but that our school curriculum needs to go way beyond this to fully instil an appreciation for the world in which they are growing up. As such we attach great importance to helping our pupils understand the state of the world we live in – as well as the history of it – and to develop the skills of discussion, debating and questioning which allow them to explore it for themselves. Should you require any further information regarding the curriculum please contact the Headteacher. We are very passionate about our Early Years provision offering all children opportunities to achieve and progress. We have a supportive environment in place to enable all children to learn across all contexts – inside and outside specified areas, adult-led and child-initiated activities, one-to-one, small group or larger group planned work within set routines and spontaneous events. The morning sessions are set aside primarily for English, maths and phonics. PE and science are also taught in the mornings and every morning the children participate in a ‘Daily Run’. Science is either taught by the class teacher or our science specialist teacher, Mr Pavey. We also have specialist teachers for MFL, Computing, PE, Art and Music. Two afternoons are set aside for arts and activities. Half termly units of CDT, art or music are taught during the Arts Afternoons and KS2 children can choose between participating in a sports fixture or Forest School (a range of outdoor activities). All children in school have the opportunity of Forest School from Year 1. A varied PE curriculum is followed, including gymnastics, games, multiskills, dance, athletics, swimming and outdoor education. During sports afternoons hockey, football, tag rugby, cross country, netball, rounders and cricket are played. The PE department work very hard to arrange a calendar of sports events throughout the year, including regular fixtures, both home and away. If your child represents the school, they will be provided with kit. KS1 children either do PE or Forest School. 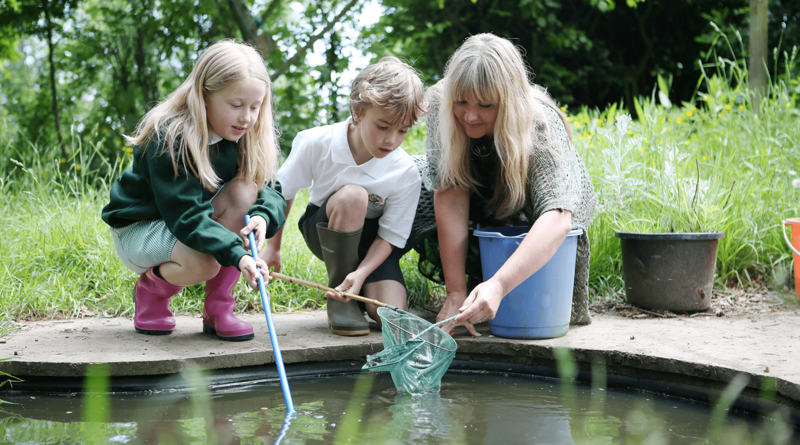 Forest School is run by fully trained teachers who lead a small group of children in a wide range of different outdoor activities which includes safe use of tools, making fires, planting and nature work. The children have swimming lessons during the Spring and/or Summer Terms. Parents are asked to make a contribution towards the cost of providing swimming lessons. Children do reading comprehension work on the other afternoons, which, as well as improving children’s understanding of what they have read, develops a love of reading. All children have a copy of the text and read together. Three days per half term the rest of the curriculum is set aside and Years 1 – 6 focus on either Geography, History or RE. The aim is to inspire and excite the children and written work will often develop out of these sessions, which where possible, will then be followed up during literacy work. Music has a strong tradition at Tatworth, we offer tuition in the following: singing; piano; guitar; flute; clarinet; saxophone; brass instruments; trumpet; trombone; euphonium and drums. If your child wishes to learn another instrument just ask! The children represent the school at music festivals, in addition to entertaining our local community by Carol singing or visiting residential homes, for example. We have a school singing and ukulele club. Click here to read exciting developments for 2018/19. At Tatworth, the English curriculum is rich with opportunities for pupils to immerse themselves in high quality texts that ignite and inspire their imaginations. Our pupils draw on their life and learning experiences so far to create written pieces, and spoken performances, which engage and entertain their audience in a variety of different contexts.